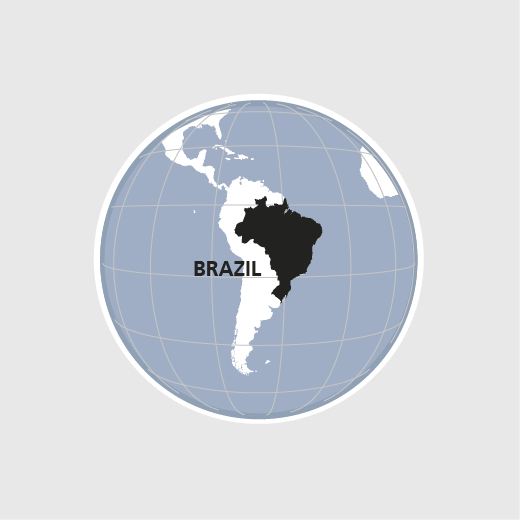 There are extreme social and economic disparities in Brazil. Some 60% of the rural population live below the poverty line. Unfair land distribution is one of the reasons for this. Roughly 4.8 million Brazilian families are landless, while some 4 000 large landowners possess over 85 million hectares of land. Families who have lived for generations on their land, though most of them without land titles, are systematically expelled to make way for large soya, sugar cane and eucalyptus plantations and for extensive cattle farming. Brazil's biodiversity is under severe threat and social problems have become exacerbated. HEKS/EPER helps improve the food security and incomes of the rural population and supports the building of a strong civil society. In 2017, 6400 people obtained access to 17000 hectares of land and 9500 people access to water. 10000 people boosted their crop yields and 8000 increased their income.